★★★★☆ Nice and sparkly, interesting look overall. A little smaller than I thought, but I didn't measure or anything, so that's on me. Would be appropriate for any age - small enough for a little girl but classy enough for a grown woman. 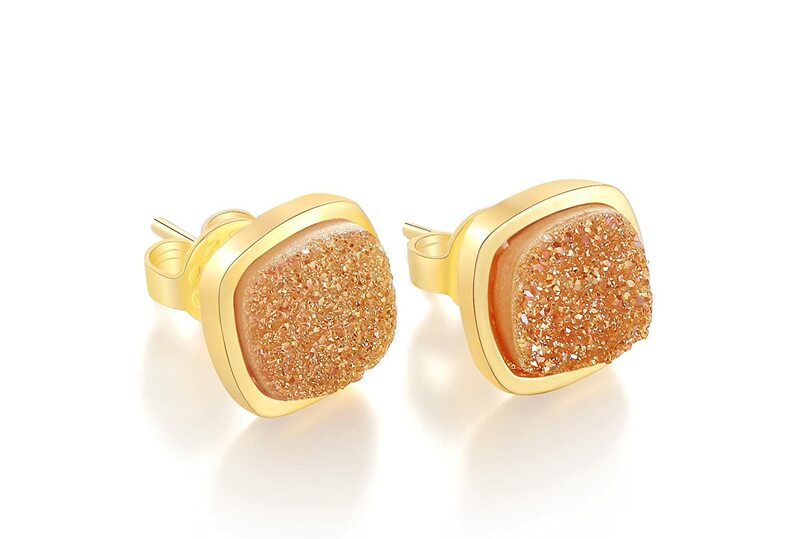 ★★☆☆☆ Too expensive for the quality, when I first got them I thought they were very pretty and look exactly like the pictures but after two days of wearing them the gold came off. The only reason I give them two stars is because I can still use them ( I clean them and now they are silver) however that’s not what I paid for.